STUDEBAKER Emblem sticker - $10.00 : Bob Hoyts Classic Inspection Stickers, Add a Final Touch to your Restoration! 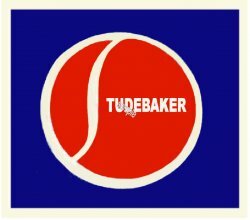 This attractive Classic sticker identifies the Studebaker car that went out of the car business in 1965. Thousands of these classic cars still exist today around the world. This sticker dates from the 1950's .